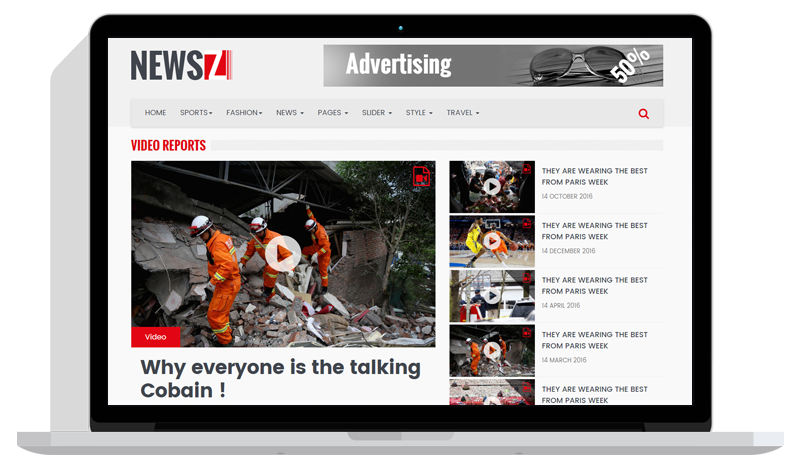 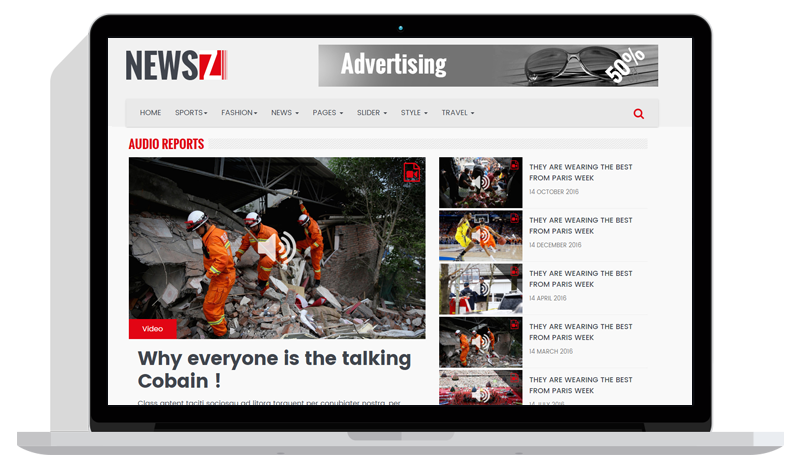 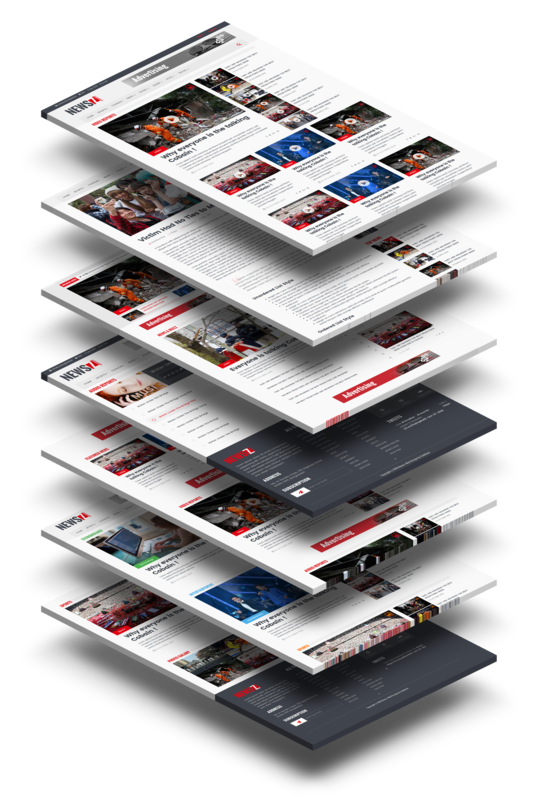 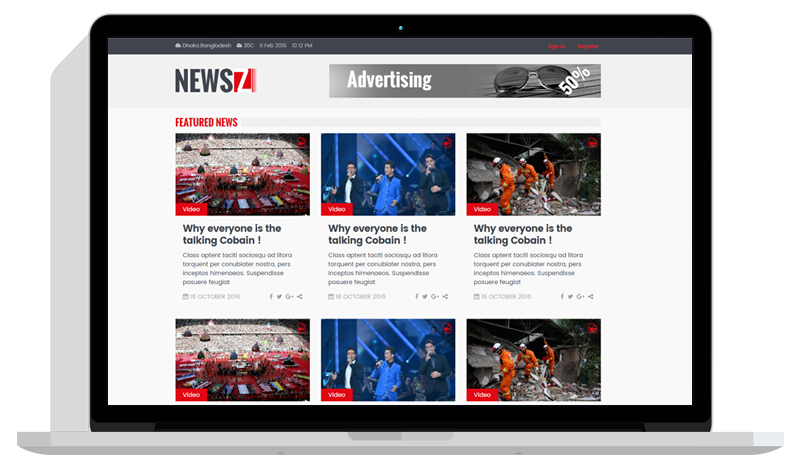 NewsZ is a clean, modern and minimalistic responsive Html Template. 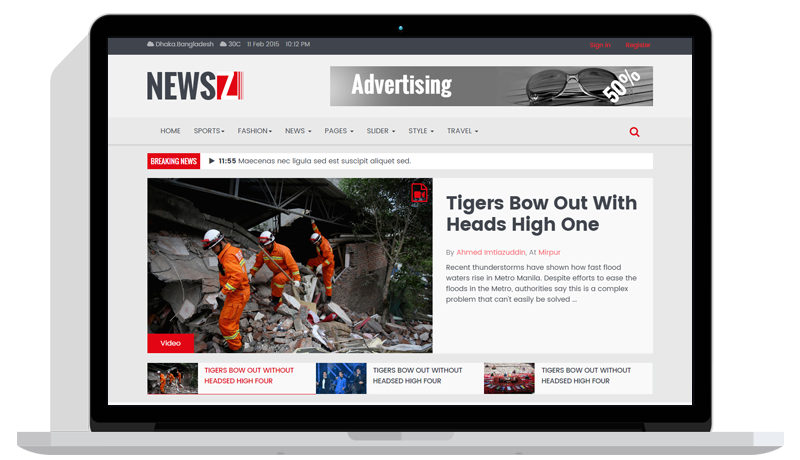 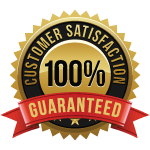 It’s especially designed for magazine, blog and news websites and more. 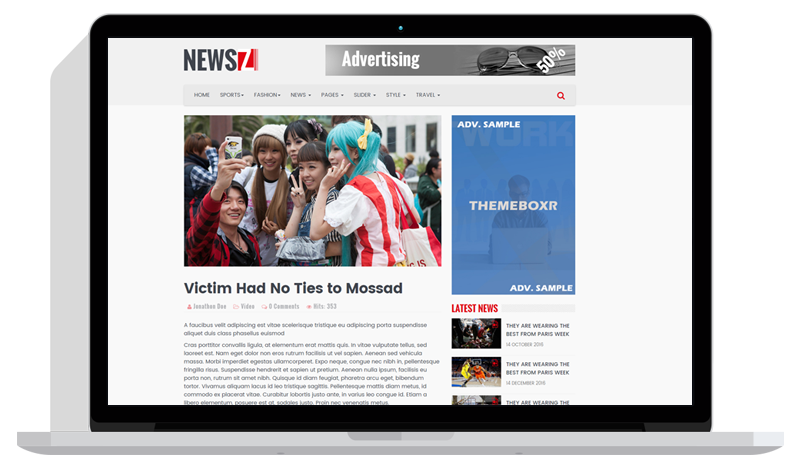 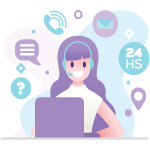 This is built with modern technologies like HTML5, CSS3, jQuery, Bootstrap3.x, Font Awesome 4.x, Megamenu, LESS, Gulp, Modernizer, CSS3 Animation, Owl Slider and more. 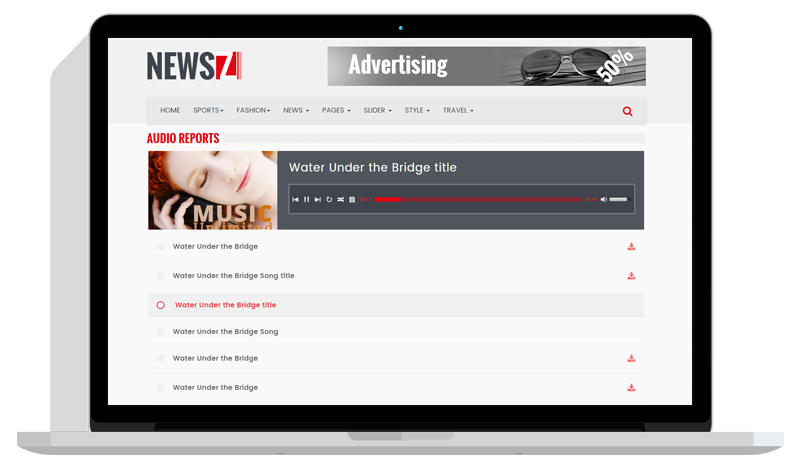 It have many Pages: Three Home Pages, Two Categories pages, Video Listing Page, Audio Listing Page, Audio Player Listing Page.